Twin Hand held VHF radio microphone system available on the deregulated VHF band, an ideal solution for budget radio microphone requirements. 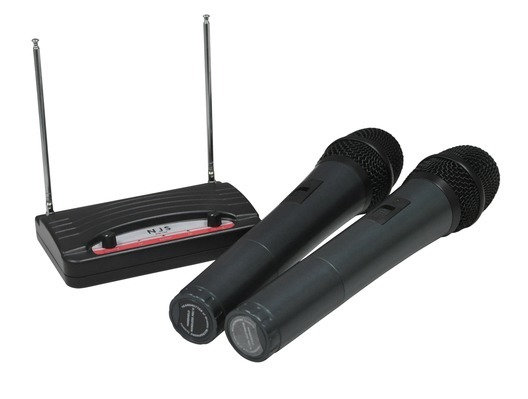 Comes complete with 2 hand held transmitters, a compact desk mounted mini receiver, a PSU, and 1 m connecting lead. I am okay with the product.